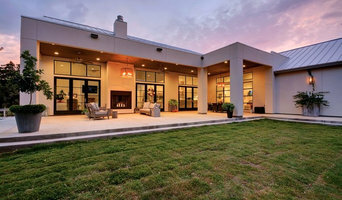 For over 25 years, Austin Outline has been building custom homes in Central Texas. As an independent custom home builder, Austin Outline can take your project from concept to move-in, or if you already have an architect our strong project management will ensure proper communication resulting in budgets and timeframes being met. Your expectations are guaranteed. Building green and conservation has always been part of our home construction. Austin Outline is a team of professionals that insures your vision is realized. For almost twenty years, we have supervised the construction of many homes in some of Austin's finest neighborhoods including Lakeway, Steiner Ranch, Round Rock, Leander, Dripping Springs and Circle C Ranch. From the simple to the complex, from the lot clearing to the final paint touch-up, our attention to detail has pleased even the most discriminating home buyer. We believe in: working with the best, personal attention, direct communication, a painless process and family. Our personal approach to homebuilding stresses constant communication and teamwork between homeowner and builder. From concept to completion our experience, reputation and attention to detail will assure that your building expectations will not only be met, but also surpassed. Kirby Walls has been engaged in the Austin and Texas Hill Country construction and development business for over 13 years. Through his collaborative approach and focus on sustainability and innovation, Kirby has not only developed beautiful and functional homes, but also a long list of enthusiastic clients. Whether it is a Hill Country residence, downtown Austin loft or an innovative commercial building, Kirby Walls Custom Builders takes the time to understand your goals, needs and tastes and combines years of experience with an innovative approach to translate your vision into an aesthetically beautiful, cost effective and functional home or office building. Our home personifies who we are and how we live. At FineLine Custom Homes we are aware that for some people, the determining factor is more than simply finding the lowest price per square foot. It is about getting the best quality and value for your money. At FineLine Custom Homes, the customer is free to customize their floor plan in order to make their home as unique as their lifestyle. We invite you to browse through our portfolio and testimonials, or drive through our neighborhoods and talk to our homeowners. We honestly believe that when you buy a FineLine Custom Home, you buy quality and service worth talking about. We are a family owned business that works in the community that it lives. Building in the Hays County areas including: San Marcos, Dripping Springs, Driftwood, Wimberley, Kyle and Buda. After looking at other homebuilders, we are confident that you will see the value that we build into every FineLine Custom Home and you will realize why so many people are recommending us as Their Preferred Builder. For Dripping Springs residential home builders who also act as developers, the job starts well before the first nail is driven. They perform local market research to determine whether the prospective homesites make sense in the Dripping Springs, TX market, as well as survey the land on which the house will be built to make sure it is suitable for construction. Custom builders also obtain the necessary permits. 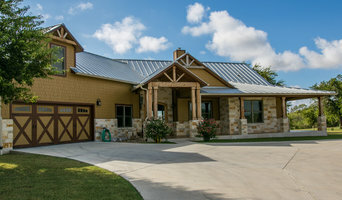 A good custom home builder in Dripping Springs, TX has skills that go far beyond construction — he or she must supervise subcontractors and artisans; keep tabs on local zoning regulations, building codes and other legalities; inspect work for problems along the way; and perform dozens of other roles that are essential in building a quality house. Here are some related professionals and vendors to complement the work of home builders: Interior Designers & Decorators, Landscape Architects & Landscape Designers, Architects & Building Designers, Kitchen & Bath Designers, Specialty Contractors. House builders are responsible for ensuring that the home-building project sticks as closely as possible to the specified timetable, particularly in the event of change orders. 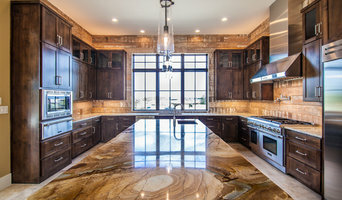 Custom and luxury home builders in Dripping Springs, TX also need interpersonal skills to deal with clients of all types, soothe frazzled nerves, negotiate conflicts and resolve problems. 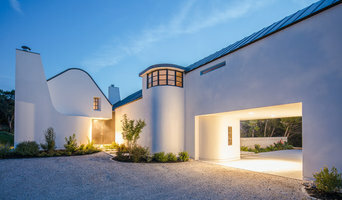 Find custom home builders in Dripping Springs, TX on Houzz. Narrow your search in the Professionals section of the website to Dripping Springs, TX home builders. You can also look through Dripping Springs, TX photos to find a house you like, then contact the builder who worked on it.